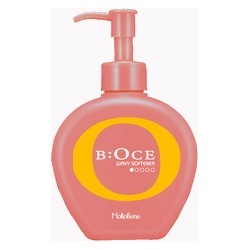 B:OCE	There are 5 products. To see product description, select "View: List" or click on "More"
A leave-in treatment that balances moisture to prevent frizzy curls while nourishing the hair for greater manageability and a silkier shine. 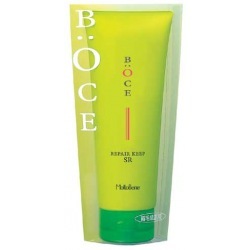 Repairs and moisturizes hair while maintaining large, soft waves without stiffness. Leave-in treatment for chemically straightened hair. Fights frizz and fortifies heat-damaged hair with natural plant and silk proteins. SHINBI INTERNATIONAL, 545 8th Avenue, 10th Floor New York, NY 10018 U.S.A.